Construction of 2 boreholes for 2 Villages( Ugele Ilangila and Kwakilosa) to make them access to clean and safe water to over 650 Villagers 350 women and 300 are men ) aiming at serving time used to walk 1-3 km for fetching some water. Ugele Ilangila and Kwakilosa villagers. are among of 146,762 of the total population in Iringa’s Municipal Council located in peripheral wards. There are over 650 people living in those villages with no source of clean and safe water. 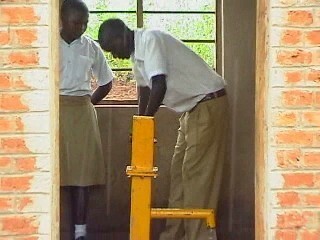 Potential sources of clean water include (but are not limited to) boreholes, taps, and improved wells. For the residents of these villages local dug wells are the only source of water they use . Unfortunately, they are used for washing clothes and bathing within local wells, is a common practice that often leaves many wells contaminated. Also, the wells are exposed, affording animals the opportunity to pollute the water. Worse enough the said villages do not have enough water from water springs which hinders even the construction of improved water wells. The possible support we can help them to accesses clean and safe water is by constructing bore holes with depth ranging between 40 metre to 60 metres. The washing of soiled clothes and bathing, along with exposure to animals, clearly compromises the effectiveness of these wells as safe sources of drinking water. This problem is further compounded in the rainy season by soil runoff that can swamp some of the wells in dirt and soil. This renders the effected wells completely unusable. Students and women fetching water are often forced to check multiple wells before finding one that has not been effected by runoff. is particularly troubling to villagers, who have more limited time due to having several responsibilities including agricultural practices and for women are also needed to take care of their families.Use of these wells for drinking water, which is often not boiled (due to the lack of cheaply available fuels), has led to the occurrence of the water borne diseases like diarrhoea, intestinal parasites (such as worms), and bilharzias. Construct 2 hand pump( bore hole) for Ugele Ilangila and Kwakilosa villages which do not have taps or borehole water sources for drinking water. iv).Transportation of building material from Morogoro; This activity will be done soon after receiving fund. v) Drilling tube well to the depth of 40- 60 Meters with provision for re-drilling and construction of slab and flumes. The work will be done by water technician. vi).Construction of Pump House: Construction of Pump House will be done by the village communities as their contribution to the project. Construction will be done soon after completing pump installation. vii) Conducting one day training to 10 WMC on how to care, maintain and repairing the wells and sanitation and hygiene skills School children from each school. Municipal water engineer will facilitate the training. viii) .Monitoring : Project monitoring is going to be done through participatory way, where PADI project management team including water technician and project coordinator and the Water Monitoring Committees from both two villages will be responsible in monitoring. Among over 650 Villagers from Ugele Ilangila and Kwakilosa no one accesses safe and clean water. The villages are in peripheral wards in Iringa Municipal council where water services are not yet reached the areas. They are using the un safe water in other activities like gardening actities, cleaning houses and toilets. 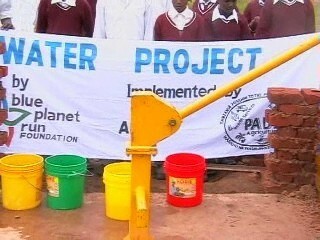 A water borehole carrying a water hand pump with a standard yield 800 litters per hour can meet water needs of people. A good water borehole equipped with hand pump can supply over 1000 liters per hour of safe water to isolated communities and thus reduce mostly women’s and students workload in fetching water from long distances. This is good potential of potable ground water supplies in Iringa District from existing water hand pumps constructed in Iringa district and from existing surveys. Over 300 water pumps were constructed in villages at shallow depth (with maximum depth of 35 m).The depth of water table is ranging between 35 meters to 40meters depth. There are both hygienic and convenient model to operate. SWN 81 model pump set are locally manufactured in Tanzania. A pump set complete with 4”PVC casings Up to a depth of 60m cost slightly over Tsh. 13,000,000 (equivalent to $ 10,140) due to inflation and raising of transportation costs. In hand pumps constructions we target a borehole yields of not less than 800 litters per hour at shallow depths suitable to service our beneficiaries, presently most of sub-urban villages are not covered by other public water supplies, there fore, the project is going to provide 2 Hand pumps to 2 villages ( Ugele Ilangila and Kwakilosa villages), 1 hand pump in each villages. The project will benefit more than 650 villagers ( 350 women and 300 men). 1. To provide clean and safe drinking water sources to over 650 villagers in Ugele Ilangila and Kwakillosa within Iringa Municipal council by December 2009. 1.In project implementation the village community will contribute 10% -15% of the project total costs ( usually required to build pump house). A contract to support them is only signed if the community are willing to do such contribution. 2.Wells Monitoring Committees (WMC) formed in each school village always monitor the whole process of well construction to see whether the required procedures followed and building materials assigned at each pump are well used. Monitoring of the pump will be a continuous process even after completing construction. 3..Water Maintenance Fund (WMF) which will be formed through their own contribution to ensure smooth maintenance and repair of the pump. We plan to use government expertises in the project as the technician to take the role of advising and government laboratory and technicians will be used to conduct water quality analysis. Also the government water program is targeting to ensure clean and safe water accessed by people living in rural and urban areas without desclimination.The government official from village to regional level have played a big role preparing this proposal and planning to work together in the project implantation. Ancillary Activities Other activities associated with this project, not related to WASH, but included for greater impact. A training session will be conducted to 10 people who are members of Well Monitoring Committee (WMC) on how to manage to perform miner repair , clean, maintain the pump and monitor any problems associated with their functioning. These people, being villagers living in the vicinity of the pump, will be on hand to maintain the wells (ten from each hand pump 5 men and 5 women). A training session will be conducted to 10 people who are members of Well Monitoring Committee (WMC) on how to manage to perform miner repair , clean, maintain the pump and monitor any problems associated with their functioning. These people, being villagers living in the vicinity of the pump, will be on hand to maintain the wells (ten from each hand pump 5 men and 5 women). To make the project sustainable PADI will sensitize villages to form Water Maintenance Fund (WMF) which will be formed through their own contribution to ensure smooth maintenance and repair of the pump. Monthly report from the water monitoring committee (WMC) representative who will be attending PADI monthly meeting will help us to know the situation of the pump in each village. Well Monitoring Committees (WMC) will be formed in each village consisting of 10 people per pump assigned to properly maintain their pump functioning, managing WMF and daily monitoring of the pump. 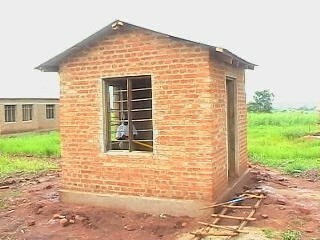 The community will contribute through house pump construction soon after the pump set is installed. This application will not go thru peer review. Kalembo,, Luwawasi,, and Chandarua, funded last year. Please fix the numbers - they are not correct nor in the right place. This is not a school project and so that number should be zero as also the sanitation number as this project does not involve installing sanitation facilities. Also, check out the rope pump video on HPPI profile and their application. Maybe that can be used here. In your application you state you will visit the site every 6 months. We would love to see that happen with all your projects. Your earlier projects do not show field reports which will help us see continued impact and also demonstrate use of the platform to keep the project information updated and alive. In your application you state you will visit the site every 6 months. We would love to see that happen with all your projects. Your earlier projects do not show field reports which will help us see continued impact and also demonstrate use of the platform to keep the project information updated and alive. - item 2: pumpsets seem similar but cost almost double in this proposal. - item 4: drill production is double in this proposal - have you confirmed the depth is 60m v 30m? - item 1: mobilization: what is equipment mobilization? How is it different from purchase and transport. Personnel mobilization - what is it? - item 9: prepare completion report. That should be part of administrative costs (already budgeted at 10%). Reports from earlier projects do not show any effort in this area. - item 10: project monitoring: nothing is reflected in earlier projects - no reports.